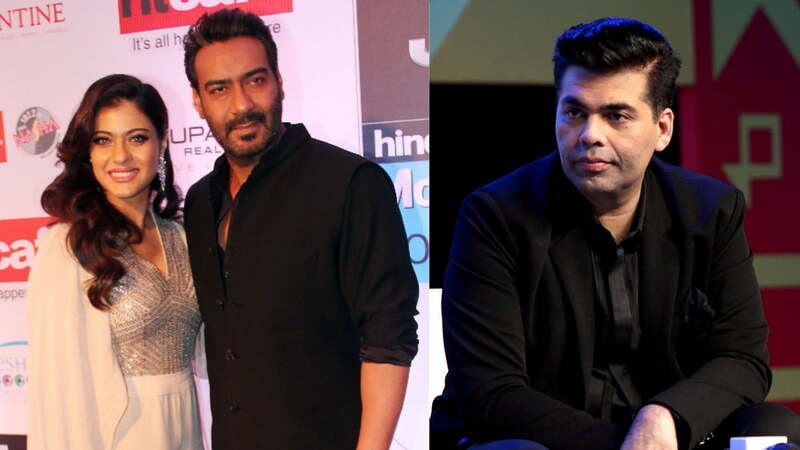 Karan Johar had planned to make Kalank 15 years ago, and that time he had stars like Shah Rukh Khan, Ajay Devgn, Rani Mukerji and Kajol in mind as the lead cast of the movie. The movie Kalank has an excellent star cast of Varun Dhawan, Sanjay Dutt, Alia Bhatt, Madhuri Dixit, Aditya Roy Kapur and Sonakshi Sinha. But do you know, producer Karan Johar had a completely different star cast for the film in his mind earlier. KJo had planned to make Kalank 15 years ago, and that time he had stars like Shah Rukh Khan, Ajay Devgn, Rani Mukerji and Kajol in mind as the lead cast of the movie. 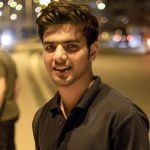 Karan had made the revelation in his book titled – An Unsuitable Boy, and an excerpt from the same has started doing the rounds on social media. “Anyway, after Kaal I went on to develop Kabhi Alvida Naa Kehna. When my father was alive, I was writing a love story set in pre-partition times. But the canvas was too large. It was supposed to have Shah Rukh, Ajay, Rani and Kajol. It was about two homes, and it had a Hindu-Muslim angle. It was a very strong subject, and would be called Kalank,” the excerpt from the book read. The movie was planned more than a decade ago, but things did not work out, and hence it was shelved then. Although the cast has now completely been changed, it is not clear if the storyline has also been changed. The filmmaker had earlier said that Kalank was his father’s dream project, and he regrets that he could not make it while he was alive. It has now been directed by Abhishek Varman. “A film that was born in my heart and mind 15 years ago….a film I passionately believe in…the last film my father worked on before he left us….it was his dream to see this film come through….I couldn’t fulfil his dream then….my spirit was broken….but today his wish has found a relationship with celluloid….the story of turbulent relationships and eternal love has found a voice….the film has been woven, nurtured and visualised by ABHISHEK VARMAN….and the film Is KALANK! Set in the 40’s but it’s heart lives on…..TOMORROW the journey begins…..am excited …anxious and emotional about this one…I do hope you join us on our path to undying love…..#KALANK [sic],” he had posted on Instagram while announcing the film. The teaser of Kalank has been released, and it has impressed all. Fans are now eagerly waiting for the trailer of the movie. After unveiling enthralling first look character posters, Kalank makers have now released BTS pictures of Varun Dhawan, Alia Bhatt, Madhuri Dixit, Sanjay Dutt, Aditya Roy Kapur and Sonakshi Sinha. While Kalank teaser is all set to release tomorrow, these new glimpses from the period drama will surely leave you excited and wanting for more. Producer Karan Johar shared the new Kalank glimpses on Instagram and said, Six lives that will forever be changed. Kalank Teaser tomorrow! Film critic and trade analyst Taran Adarsh also shared the pictures with a caption that read, Kalank teaser out tomorrow. Glimpses from the film that’s set in the 1940s. The photographs show the cast of the film, Alia Bhatt, Sonakshi Sinha, Madhuri Dixit and Aditya Roy Kapur, from the sets. Though the photos don’t reveal many details about the film and the only highlight the frame of the aforementioned actors, they nevertheless give us a sneak peek into the world of Kalank, which, by the first look, seems to be a story about a patriarchal family. There are vintage cars and extras dressed in clothes from the era. There’s also one photograph of Madhuri where she is posing in front of a chandelier. Earlier, filmmaker and producer of Kalank, Karan Johar, revealed the first look of the lead cast of the film along with some character description. Kalank is directed by Abhishek Varman and will mark the return of Sanjay Dutt and Madhuri together for the first time in 21 years. The film will also feature the hit pairing of Varun Dhawan and Alia for the fourth time (Student of the Year, Humpty Sharma Ki Dulhania and Badrinath Ki Dulhaniya). Kalank will release on April 17. Notably, Madhuri was roped in for the film as a replacement for Sridevi, after an untimely death of the actress in February 2018.